It’s been around for centuries. We all know we should avoid it, protect ourselves from it, use the right medications to prevent it, and a net to protect our beds at night from it – but why? Why is malaria such a big deal? It’s 2019, should you really worry about a tiny mosquito as you travel on holiday this summer? Why is such a tiny little pest causing so many problems? The answer is rather scary. 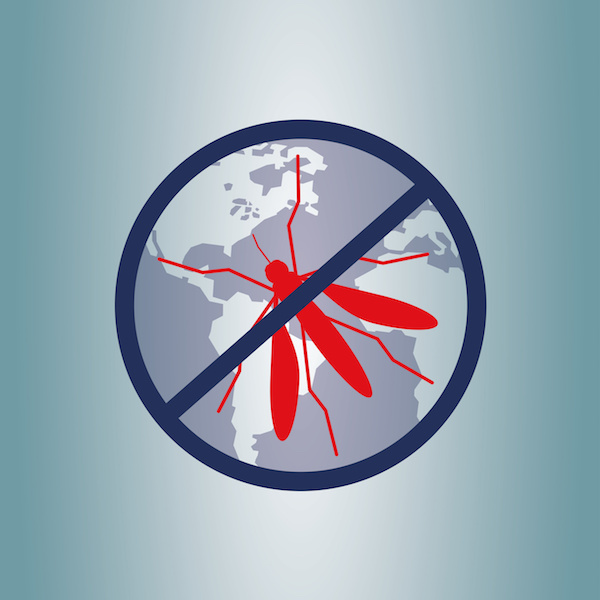 The World Health Organisation stated “There were an estimated 219 million cases of malaria in 90 countries. Malaria deaths reached 435,000 in 2017.” While many measures are in place to help lower these terrible statistics, the prevalence of malaria is something that should not be ignored. After being bitten by a mosquito carrying malaria, there are no symptoms initially. Only the female Anopheles mosquitos carry malaria, and they’re actually carrying a parasite that is injected into your bloodstream when they bite. These little ladies do not leave a bite mark, and the site does not swell up or does spot itch as most people think of mosquito bites. This is one of the reasons that the bite is so dangerous; you probably don’t even know that it happened. Without proper care, malaria can cause liver failure, fluid in the lungs (pulmonary oedema), kidney failure, anaemia, and ultimately death. Malaria countries, or countries affected by Malaria, are located in Africa, Central and South America, some parts of the Caribbean, Asia, Eastern Europe, and the South Pacific. Mosquitos like warm, moist climates and thrive in areas near bodies of water. If you are travelling to an area that has Malaria, there are many necessary steps to protect yourself from this disease. Each of the three preventative steps is important, but none of them will protect 100%. Therefore, if possible, you should utilise all three ways simultaneously. Anti-Malarial medications work to destroy the parasite within the body. Three of these medications are Doxycycline, Malarone or Lariam. Because Malaria is a parasite that has different growing stages, these medications must be taken prior, during, and after your trip (for a certain number of weeks) to ensure that your body has the right amount of malaria-fighting properties in it. If you do not take the medication in its entirety, some of the parasites may survive. While the three medications are equal in their effectiveness, they each come with differing side effects and interactions. It is essential that you speak with your GP to ensure that you take the right medication for you. A simple mosquito net for your bed is very inexpensive. It is so financially cheap that you may wonder why a net is so important? To help you understand this, it is good to remember that the female Anopheles mosquito doesn’t start working at 8 am. She likes to work late at night around 10 pm to 2 am, which most people are going to bed or asleep at these times. To prevent even one mosquito from biting you, a simple net can help protect you. So if you’re taking the medications and using a net, is bug spray still needed? The answer is yes. Bug spray is helpful if you are going to be up and moving during the later hours of the evening, such as walking outside of your tent to use the restroom. According to Fit for Travel, it is best to use a bug spray that has at least DEET 20-30%, Picaridin 20%, or Lemon eucalyptus 30%. They each smell differently, have varying concentrations and warnings and should be reapplied at different intervals. It is important to look carefully at your bug spray's directions and follow it’s recommendations. Just like most illnesses, the sooner you can begin treatment for Malaria, the better it is for your body. So if you start experiencing symptoms, it is best to get to your healthcare provider and be tested. It is crucial to inform your doctor that you have been in an area that has Malaria so they can order the right blood tests that may be missed otherwise. A thick blood smear is currently the most sensitive test accord to Lab Test Online, and it is considered to be “the gold standard” of testing. By taking a few large drops of blood, smearing it on a glass slide, and looking at it under a microscope, the doctor can search for the Plasmodium parasite. If you do have Malaria, your GP may prescribe medication for you. Currently, Artemisinin-based combination therapies (ACTs) are used to treat Malaria. In years past, Chloroquine was used, but many types of Malaria have become resistant against them. Some physicians may use anti-malarial drugs in combination with ACT therapy as well. Whichever medications you are prescribed, it is important to take the entire dose of medicine in the right quantity each day. Even if you start to feel better after a few days, you must take all of the medication to ensure that all of the parasites are destroyed. Malaria is a serious illness that you should take the appropriate preventative steps to avoid. Even though it has been around for centuries, it is still a significant threat to your health in 2019. So as you plan for your holiday this season, be sure to research and make the right plans for your trip. A little bit of planning and preventative steps can ensure that you will be healthy and able to enjoy your time away! Being prepared for Malaria is very important, and we are here to help you get ready in the most effective way possible. Discover medications for your anti-malarial needs – here at Express Pharmacy. We can help you gain access to effective treatment swiftly and discreetly. Contact us today by calling 0208 123 07 03 or by using our online Live Chat service.